Believe it or not…texting or viewing your electronic device while crossing a street in Honolulu is now illegal and can result in a $35 fine. Texting while walking is dangerous since most folks simply cannot do both which often results in serious injury. 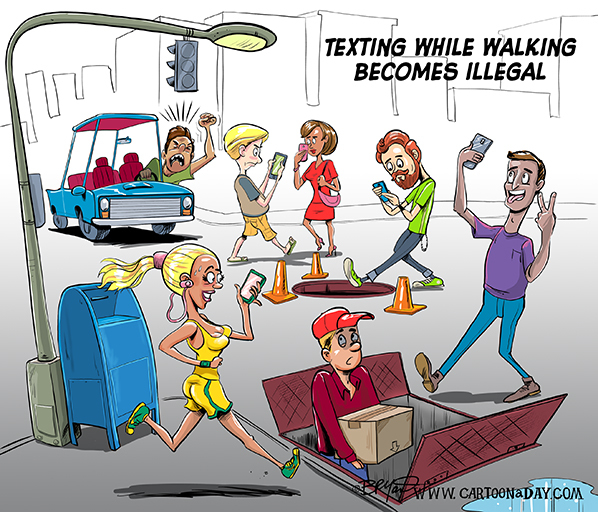 This cartoon features all pedestrians texting while walking.